"I subscribed right away, it's much better with high definition pictures than most programs!" 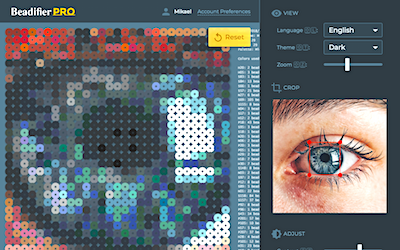 Beadifier PRO expands upon the feature set of Beadifier to enable you to get even more creative. Support for using common brand color palettes. Save finished patterns to your computer/device. Save finished patterns as Excel spreadsheets to your computer/device. Image cropping and fine tuning of image brightness/contrast. 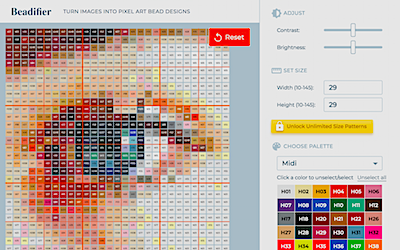 Combine all colors freely and save your own customized palettes. Optional realistic rendering (ironed and non-ironed!). Create as large patterns as you like. No ads to clutter your view. Easily switch between light and dark interface options. Work faster with handy keyboard shortcuts. 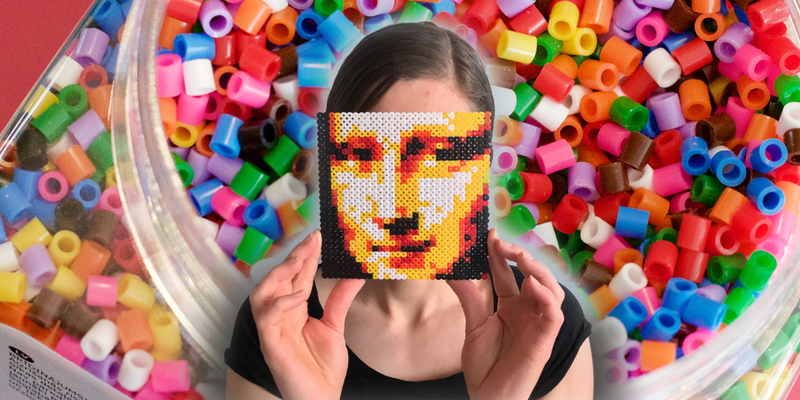 "I was surprised with how easy it was to digitize certain photos and map it out in perler beads." Sign up to start enjoying Beadifier PRO today. You can choose between monthly and annual billing and you are free to cancel anytime. Cheapest option. Save $12.89 a year!